We are so used to pouring on the salt that it can seem daunting when we are advised to cut it out either completely or almost completely. I also don’t advise using a commercial salt substitutes like Lo-Salt or any other potassium chloride alternatives. They are unnecessary and potentially unhealthy chemicals that your body doesn’t require for optimal health. If in doubt about eliminating salt from your diet, speak to your doctor. For my part, I suggest that you simply do not ever get into the habit of adding salt to any meals. This is of particular importance if you have a history of heart disease or high blood pressure. Some of the populations with the lowest blood pressures in old age are those who have hardly any added salt in their diet. Remember that whole plant foods contain a natural amount of salt ideal for each individual plant. It is so much better to get used to life without added salt and this is what I recommend to all my clients. But if you have always piled on the salt (often before you even bother to taste the food first), how do you make meals tasty? And can you ever get used to life without added salt? Your expectation of taste will adapt within days or a couple of weeks at the most, so that you start to appreciate and enjoy the natural flavours of different foods – whether plump tomatoes, crisp cabbage or a juicy mango. And we are talking exclusively here about whole plant foods – not animal foods or processed foods. To get an idea of this, have you ever changed your tea and coffee to having it with/without sugar or milk? You get used to it really quickly and then, if you try having it how you used to before, it tastes awful! Same to a large extent with salt. Without salt, we start to savour the subtle and natural flavours of individual foods. 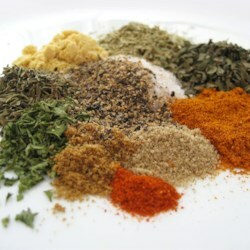 But we can still benefit from the gloriously wide variety of flavours that can be added to recipes via spices and herbs. 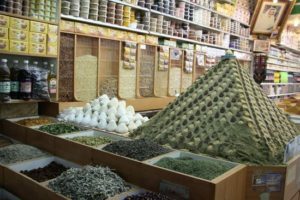 What’s more, spices and herbs are some of the healthiest and most potent sources of phytonutrients that humans can consume. So let’s take a look at how you can spice up your meals and, at the same time, add benefit from some of the healthy compounds that herbs and spices contain. Capsaicin is the active hot ingredient. Adding some heat (not too much, of course) can enhance many savoury meals. This is a really wonderful item to keep available. I buy it in bulk and use it a lot. You can buy it with or without B12 added fortification. If you are already taking a B12 supplement as recommended by your doctor or nutritionist, then go for the non-fortified version. B12 fortification or B12 supplementation – see here. Being rich in niacin, folic acid, zinc, selenium and thiamine, as well as containing a number of essential amino acids, nutritional yeast is a healthy option. It is also claimed by Dr Greger that it helps the body recover more quickly from strenuous exercise. 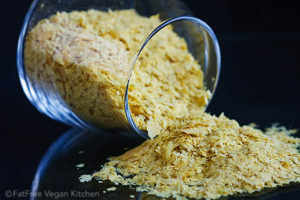 Nutritional yeast adds a deep “nutty” or “cheesy” flavour and it tends to find its way into most of the savoury meals I make. It is great in soups and stews, sprinkled on wholewheat pasta, baked potatoes, and the list goes on and on. Best advice: get some and experiment. *Avoid nutritional yeast if you have Crohn’s disease. If in doubt, speak to your doctor. Either commercially-available or home-made varieties are very useful and flavoursome. Experiment with commercial brands, if you prefer to have them made for you but try to ensure they really are salt-free. In particular, if they have onion or garlic powder added, check that it’s the powder and not some form of onion or garlic salt. But if, like me, you enjoy being independent, knowing exactly what goes into your blends and also enjoy the process of making things, then have a go at making your own. The following are two suggestions. Just mix them together and put in either a grinder or a food processor. Store in an easy-to-use sealed container and add to meals whenever needed. This is one of my personal favourites. I tend to have a jar full of it in the larder ready to add to meals. Combine all the ingredients in a spice grinder or blender to mix well. Transfer to a shaker bottle or jar with a tight-fitting lid. Store in a cool, dry place. I usually double the above quantities since I use it up so quickly. It is really moreish and, like everything Dr Greger suggests in his How Not To Die Cookbook, it contains 100% healthy ingredients – GREEN LIGHT FOODS. Ground or freshly minced/finely chopped can be added to give a flavourful kick to a recipe. I tend to use a lot of fresh coriander in meals in place of fresh parsley, although both work well. It’s down to personal preference of course. Basil is a lovely flavour in the right place – tomato sauce-based vegetables on wholewheat pasta benefit from fresh basil. You can even make your own non-oil pesto sauce using it. If you don’t want lemon, then don’t add it and just have a non-oil pesto sauce. You can use pesto on wholegrain pizzas/pastas, in stuffed peppers, on lightly sauteed vegetables, or anything that takes your fancy. Heat the broth in a small saucepan over medium heat. Add the garlic and ginger and simmer for 3 minutes. 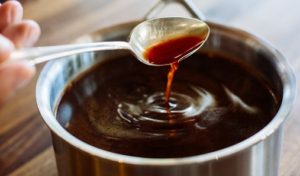 Stir in the molasses, date syrup, tomato purée and black pepper and bring just to a boil. Reduce the heat to low and simmer for 1 minute. Remove from the heat, and then stir in the miso mixture, blended lemon and rice vinegar. Taste and adjust the seasonings, if needed. Allow the sauce to cool before transferring to a jar or bottle with a tight-fitting lid or pour the sauce into an ice cube tray. 1 medium onion, coarsely chopped 1 carrot, cut into 1-inch/ 2.5 cm pieces 2 celery stalks, coarsely chopped 3 garlic cloves, crushed 2 dried mushrooms ⅓ cup/ 10 g coarsely chopped fresh parsley ½ teaspoon ground black pepper 2 tablespoons white miso paste Savoury Spice Blend (see above). In a large pan, heat 1 cup/ 250 ml of water over medium heat. Add the onion, carrot, celery and garlic and cook for 5 minutes. Stir in the mushrooms, parsley and black pepper. Add 7 cups/ 1.6 litres of water and bring to a boil. Reduce the heat to low and simmer for 1 ½ hours. Let cool slightly and then transfer to a high-speed blender and blend until smooth. Return the blended broth back to the pan. Ladle about ⅓ cup/ 80 ml of the broth into a small bowl or cup. Add the miso paste and stir well before incorporating into the broth. Add the Savoury Spice Blend to taste. Let the broth cool to room temperature; then divide among containers with tight-sealing lids and store in the refrigerator or freezer. Properly stored, the broth will keep for up to 5 days in the refrigerator or up to 3 months in the freezer. And do most ready-made vegetable broths, bouillon, stock cubes/pots have salt? Oh yes. Usually lots of it. For instance, Knorr vegetable stock cubes contain 42.% salt; Marigold Vegetable Bouillon contains 44.6% salt; and even Bisto Vegetable Gravy Granules contain 14.21% salt. Kallø Very Low Salt Organic Vegetable Stock Cubes are one of the better options if you have to buy commercially-prepared vegetable stock, as they only contain 0.1% salt. If you come across a zero-added salt commercially available vegetable stock, please let me know. 1 cup/ 175 g pitted dates 1 cup/ 250 ml boiling water 1 teaspoon blended peeled lemon (see 2. below). Combine the dates and hot water in a heatproof bowl and set aside for 1 hour to soften the dates. Transfer the dates and water to a high-speed blender. Add the lemon and blend until smooth. Transfer to a glass jar or other airtight container with a tight-fitting lid. Store the syrup in the refrigerator for up to 2 to 3 weeks. Instead of cooking with lemon or lime juice, use the blended whole fruit to get more nutritional benefit. Peel and blend a whole lemon and then freeze it in 1-teaspoon portions – a small silicone ice cube tray is ideal for this. Then, grab a cube from the freezer whenever you need it! Mix all ingredients together and enjoy. Will refrigerate for 1 month or freeze in cubes like Dr Greger suggests. 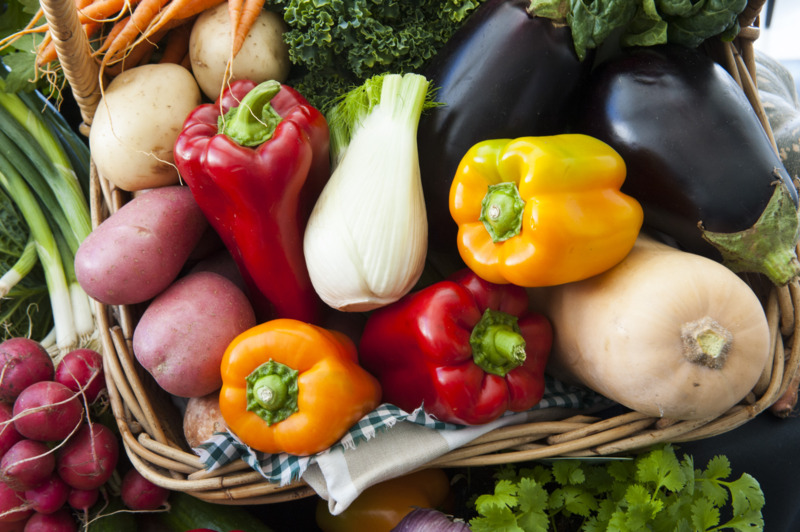 Eating foods that taste delicious is a key to a successful lifestyle change. Here are some tips from Mary to help you create flavorful meals. 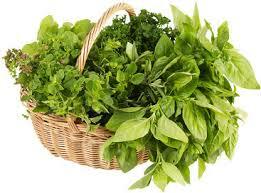 When deciding whether to use fresh herbs or dried ones in a recipe, consider how long the food is going to cook. If the cooking time is long, dried herbs are used. If the cooking time is short, use fresh herbs, if available. For equal flavor you need more fresh herbs than dried ones because the dried ones are more concentrated. However, in time dried herbs lose their potency. 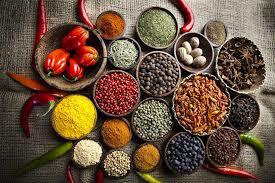 Particular combinations of spices are identified with various kinds of ethnic cooking. You can take advantage of these spices to vary recipes and create new ones. Of course, there are so many other ways of adding great salt-free flavour to your recipes. And if you have any suggestions that you would like to share, please let me know. Suckling RJ, He FJ, Markandu ND, MacGregor GA. Dietary salt influences postprandial plasma sodium concentration and systolic blood pressure. Kidney Int. 2012;81( 4): 407– 11. 34. He FJ, Li J, MacGregor GA. Effect of longer term modest salt reduction on blood pressure: Cochrane systematic review and meta-analysis of randomised trials. BMJ. 2013;346: f1325. 35. Celermajer DS, Neal B. 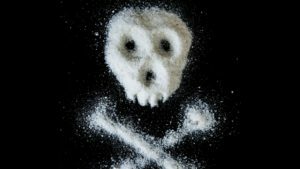 Excessive sodium intake and cardiovascular disease: a-salting our vessels. J Am Coll Cardiol. 2013;61( 3): 344– 5. Oliver WJ, Cohen EL, Neel JV. Blood pressure, sodium intake, and sodium related hormones in the Yanomamo Indians, a “no-salt” culture. Circulation. 1975 Jul;52(1):146-51. Mancilha-Carvalho J de J, de Souza e Silva NA. The Yanomami Indians in the INTERSALT Study. Arq Bras Cardiol. 2003;80( 3): 289– 300. 38. Mancilha-Carvalho J de J, Crews DE. Lipid profiles of Yanomamo Indians of Brazil. Prev Med. 1990;19( 1): 66– 75. Greger, Michael; Stone, Gene. How Not To Die: Discover the foods scientifically proven to prevent and reverse disease. (Air Side Edt). Pan Macmillan. Kindle Edition.